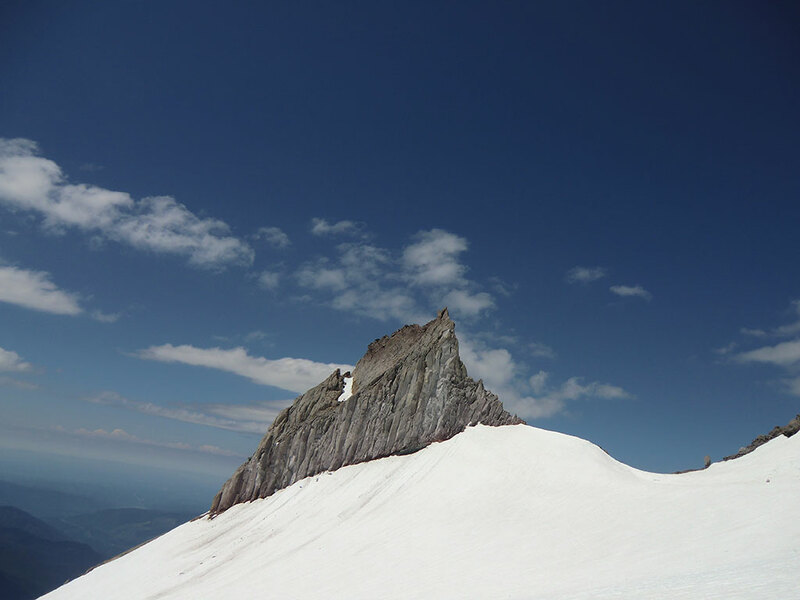 After poor visibility sent us home 800 vertical feet shy of Mt Hood's 11,249' summit last Saturday, Matt and I decided to climb Hood again on Sunday. 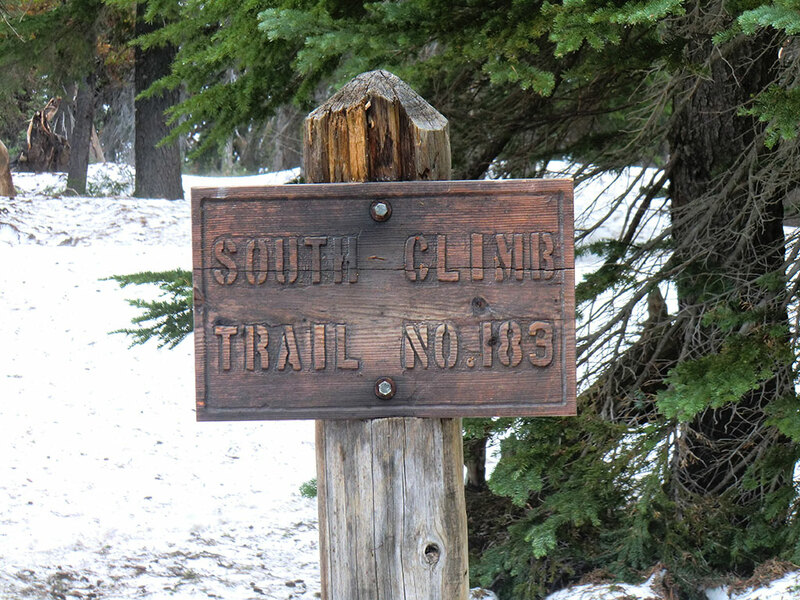 This time we chose the Cooper Spur route which starts from the Tilly Jane trailhead since there is still snow on Cloud Cap road (near Cooper Spur Ski Area). 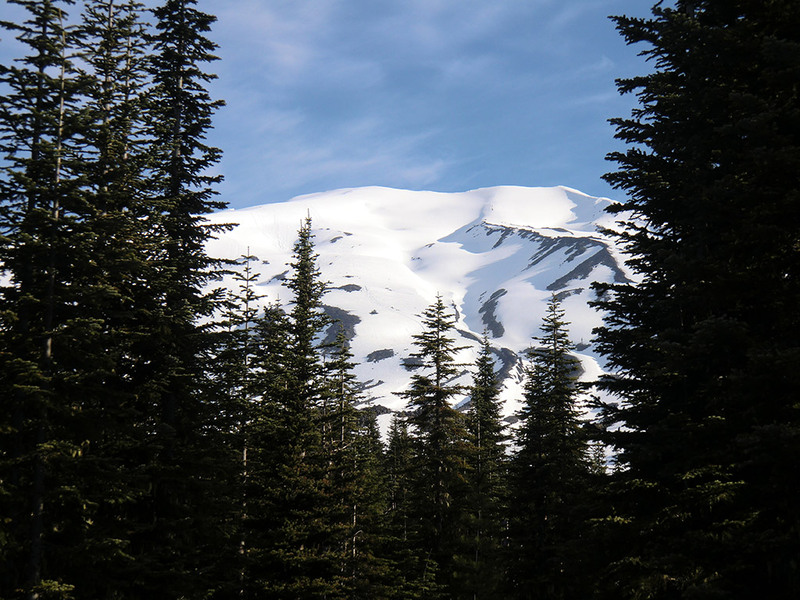 The route begins at around 3,800 feet elevation on Mt Hood's Northeast side and gains more than 7,000 vertical feet over about 5.8 miles to the summit. The route follows the Tilly Jane Ski Trail #643 to Tilly Jane Trail #600A to Cooper Spur #600B to about 8,500 feet in elevation. 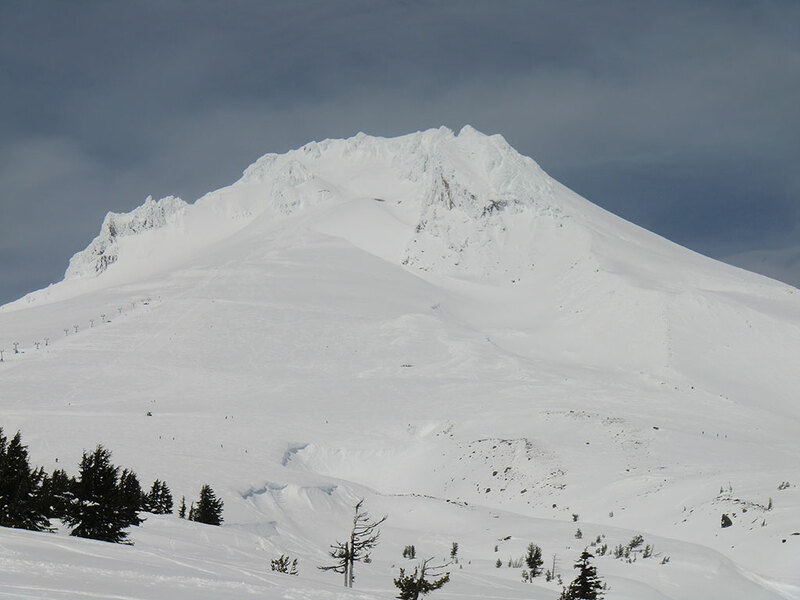 The weather forecast finally predicted a mostly sunny day Saturday with moderate to low avalanche danger on Mt Hood. 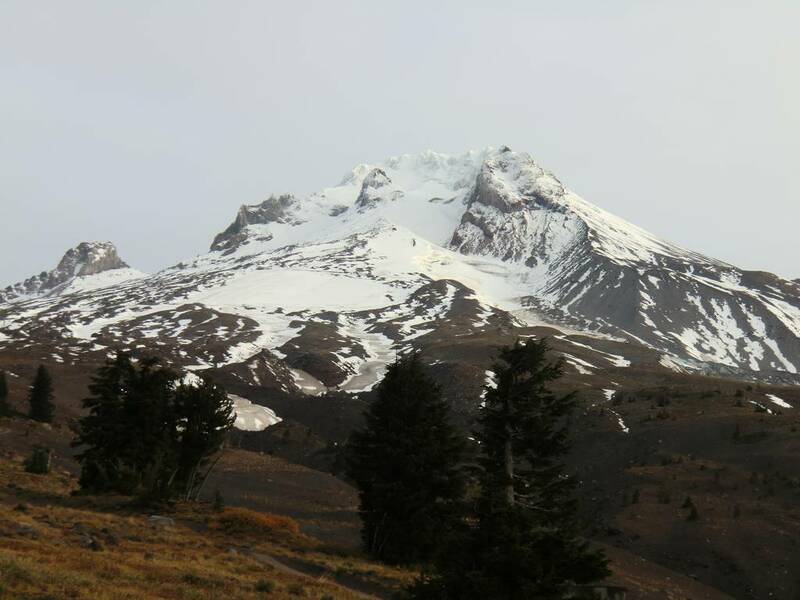 My last Mt Hood climb was an unsuccessful attempt up the Leuthold Coulior route due to illness and poor fitting boots. My friend Matt and I decided to try the Leuthold Couloir route again along with another climber Ryan. 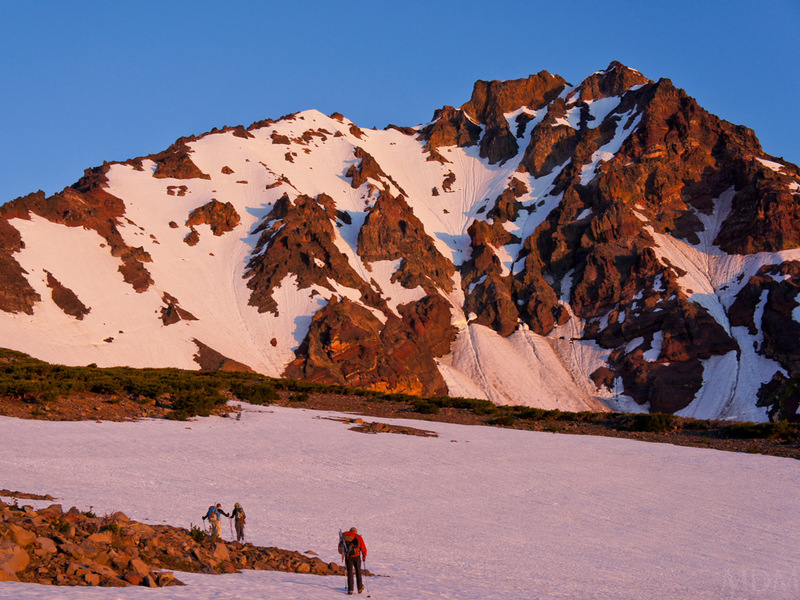 This technical route starts at Timberline Lodge (same starting point as the popular South route). Leuthold Couliour is to the West (climbers left) and above Illumination Rock. Now that my toes are almost back to normal nearly a year later, I figured it was time to tell my story and share pictures of my frostbitten toes and their subsequent long recovery. It's not an experience I would wish on anyone, so hopefully this will serve as a warning to help others avoid frostbite. 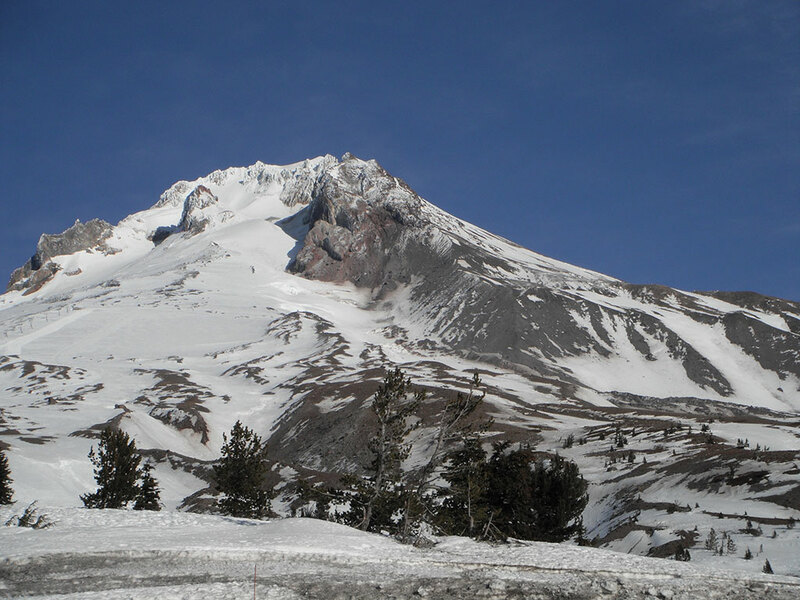 The weather has been sunny and cold, so the snow from November's storms is very consolidated up on Mount Hood. My friend Matt and I have been eager to climb and decided on the Leuthold Coulior route on Mt Hood early Saturday morning. 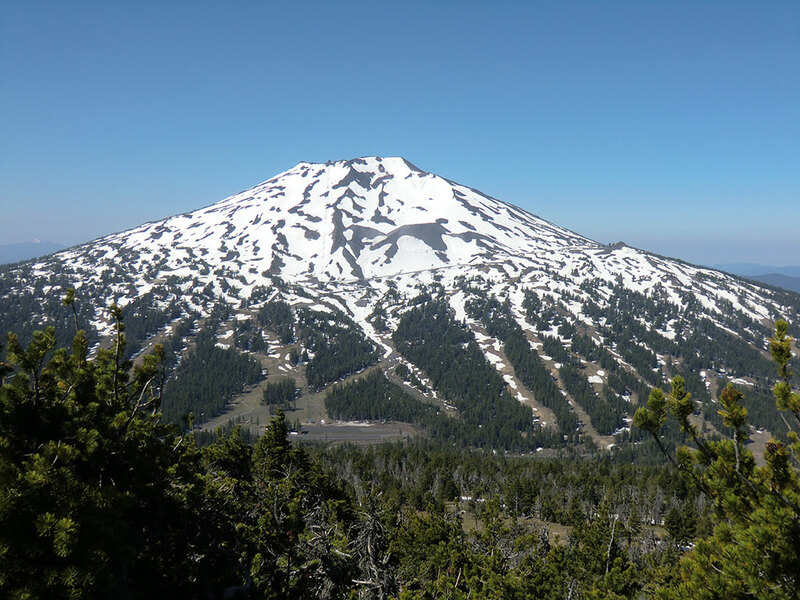 This a technical route that starts at Timberline Lodge (same as the popular non-technical South route). Leuthold Couliour is to the West (climbers left) of Illumination Rock. Our plan was to climb up Leuthold Couloir and then return via the South route (approximately 7 miles round-trip). 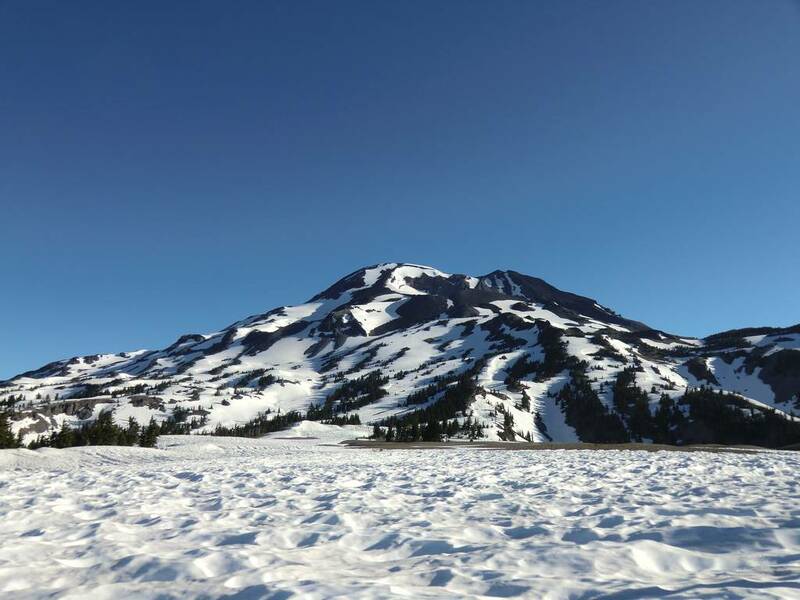 It's been awhile since my last climb, but mother nature cooperated on Sunday, providing ideal conditions for climbing Mount Hood via the South route. My climbing partner wasn't able to join me, so I went up solo on this trip. October is often a poor month to climb Hood due to rockfall, but this year's combination of leftover snow and a couple early season snow storms yielded great conditions on Sunday. There have been several freeze-thaw cycles the past week to consolidate the new snow. My bother-in-law Scott and I headed out early (3:15 am) Tuesday morning toward the Tioga Lake overlook on CA SR-120 (Tioga Pass Rd) just outside Yosemite National Park. 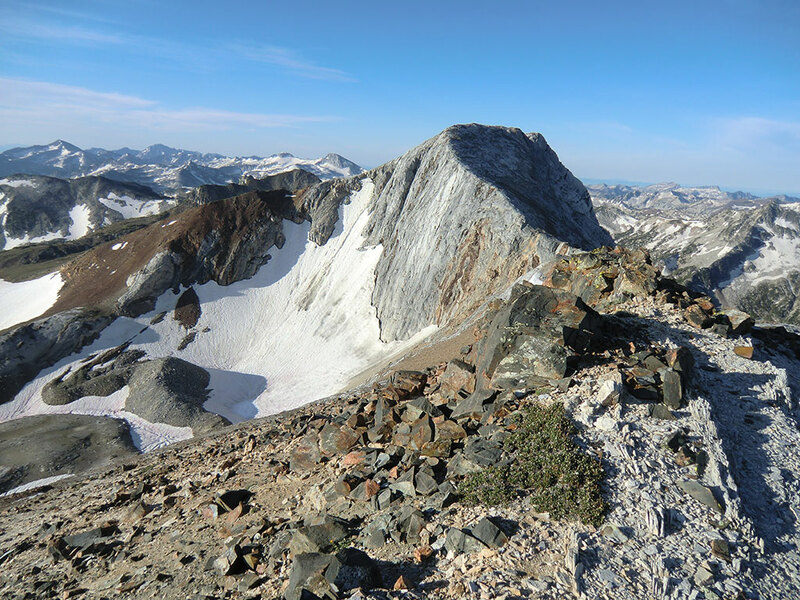 We wanted to get an early start climbing Mount Dana (second tallest peak in Yosemite at 13,053 feet) via the prominent Dana Couloir (YDS class 3-4). Our original goal was to then climb neighboring Mount Gibbs (12,773 feet) and hike back along CA SR-120 to form an 11 mile loop. 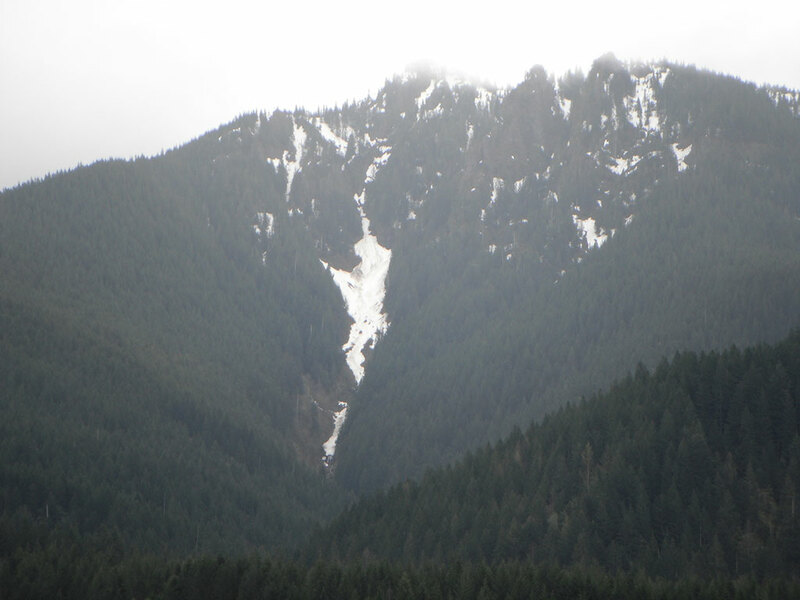 We ended up only climbing Mount Dana and heading back along the NW ridge (6.1 mile round-trip). 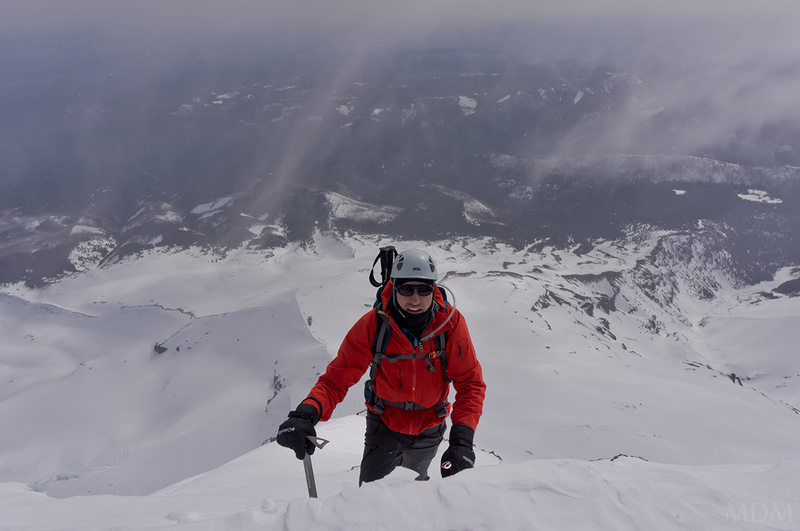 Although we had been eyeing a climb on Mount Saint Helens all winter, a good weather window didn’t present itself. Just in time for summer, we got a much-needed break in the weather this week. We were able to find two permits to climb on Sunday. Mount Saint Helens (50 miles NE of Portland, Oregon), an active stratovolcano, is most famous for its eruption on May 18, 1980. 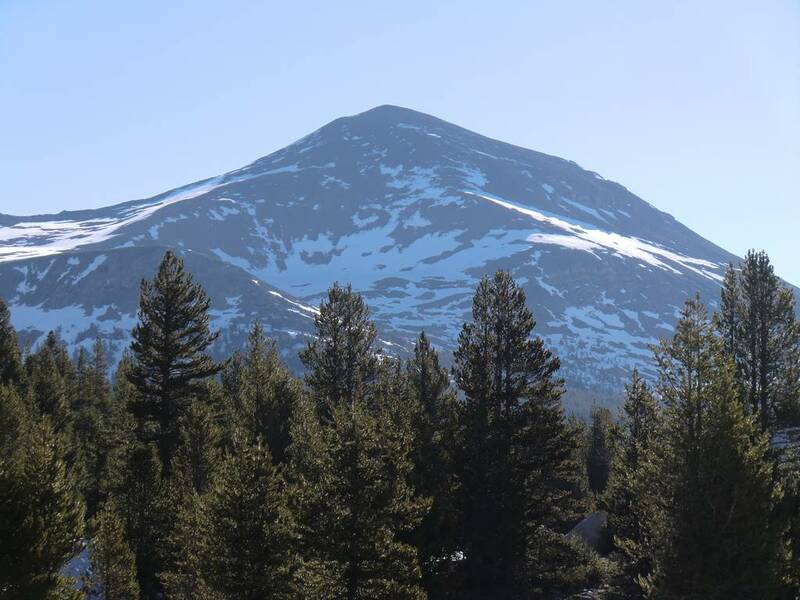 Now only 8,364 feet tall, the mountain previously stood at 9,677 feet tall. My climbing partner Matt and I set off to climb Mount Mitchell (about 11 miles South of Mount Saint Helens) early Saturday morning. 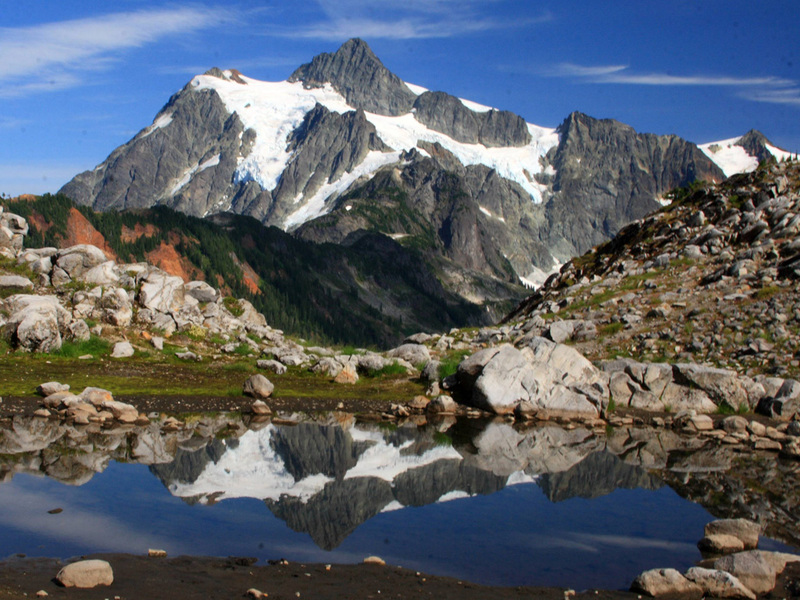 The normal route is a 2.5 mile (one-way) walk-up hike around the back of the mountain (South side) on a marked trail. But Matt and I wanted to be more adventurous and climb the snowy couloirs on the Northwest side of Mount Mitchell. We came prepared with full mountaineering gear (ice axes, helmets, crampons, rope, snow pickets, etc.) as we didn't know what we might encounter.